Angell, Joseph W. (1953). 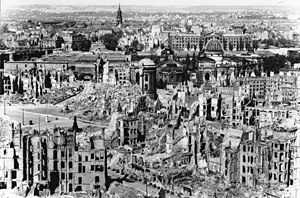 Historical Analysis of the 14–15 February 1945 Bombings of Dresden (1962 ed.). USAF Historical Division Research Studies Institute, Air University, hq.af.mil. OCLC 878696404. http://www.afhso.af.mil/shared/media/document/AFD-110208-030.pdf.